What are the best Mercy Chinwo songs? Her devoted fans will say every song performed by this young gospel diva is a masterpiece. Indeed, she has several exceptionally good hits recognised even by those who are not much into listening to spiritual music. Yet, which of Mercy’s tracks are the best ones? Mercy Chinwo is one of those gospel singers who does her best and has a good deal of popularity. What’s her secret? She is extremely appealing, unearthly beautiful and very talented as a singer, author of her own hits, and an actress, in addition. This lovely young lady has very emotional songs. Maybe, the reason for the depth of her emotions is the loss of her father who passed away when the girl was very young. Such events in one’s life never pass without a trace and Mercy’s faith was a weapon that helped her through her grief. Now this faith lives in her lovely songs that touch the heart of everyone who listens to them. Many of the gospel star’s hits are available on the Internet. Some of them have music videos and are available for watching on YouTube. Others can be downloaded from many different web sources. Judging by the number of views or downloads, it’s possible to select several most popular hits that are especially loved by people in Nigeria and outside it. It is a real No.1 hit that has brought the young star a good deal of her fame. Released in 2018, it has taken Mercy’s existing popularity to the new level. 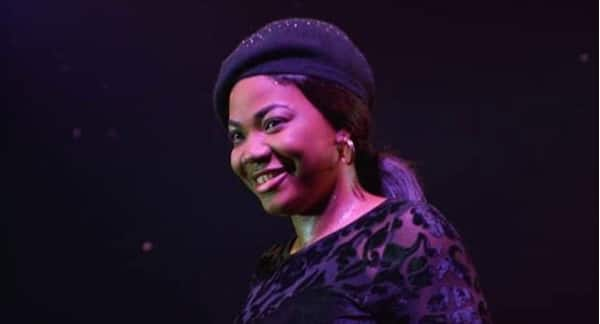 Now people started to recognise her not only as a gospel singer who also plays in Nollywood movies but as a statement in the Nigerian gospel music. You can still see comments like, “God bless you, Mercy, for this song, it is really uplifting and helps me through hard times”. A song with a title like that just can’t be left without attention. It’s pure Christian faith and trust in the Lord who takes away all the pains and grief from His children. This uplifting hit has only increased the popularity of the “Excess Love” author. The young singer has become an idol for many gospel lovers with this lovely song about Jesus and the love each believer has in his or her heart. This is one of the most uplifting songs composed by Mercy. It speaks about the never-ending hope every Christian has in their heart, hope for the better, the light of faith, and the strength to move on, no matter what. This lovely gospel is dedicated to Jesus, the Son of our Lord, who saved humanity, and conveys the gratitude people have in their hearts for His sacrifice. The melodic gospel titled Bo Ekom praises the Lord, the Holy Spirit, and Jesus for the help they always give to people. Almost like the Igwe hit, this gospel cheerfully praises the Lord, the only one who reigns in people's hearts. Featuring Fiokee, this gospel by Mercy Chinwo speaks about the new hope, which is born every day with the words about a stone rejected once by builders, which now becomes a cornerstone, and so everything can be better with the mercy of the Lord. This gospel song is adorable, telling us about the main responsibility of each believer to be faithful, glorify the Lord, and keep on thanking Him for everything He gives us on a daily basis. Now, one may ask, “Can I find Mercy Chinwo songs with lyrics on the Web?” Of course, these hits are available together with their lyrics on the Internet. A pleasant bonus: most of these songs are provided with music videos, so you can watch them and enjoy the charming looks of the young singer. Now, when you are knowledgeable enough, you can freely enrich your music collection and playlist with the most appealing, sweetly heartbreaking and stirring Mercy Chinwo songs that will increase your love, help you move on at difficult times and warm your heart.